Hailey is five-year-old pre-kindergartener in Fredericksburg, Texas who likes playing with her toys, singing, and driving her wheelchair fast! 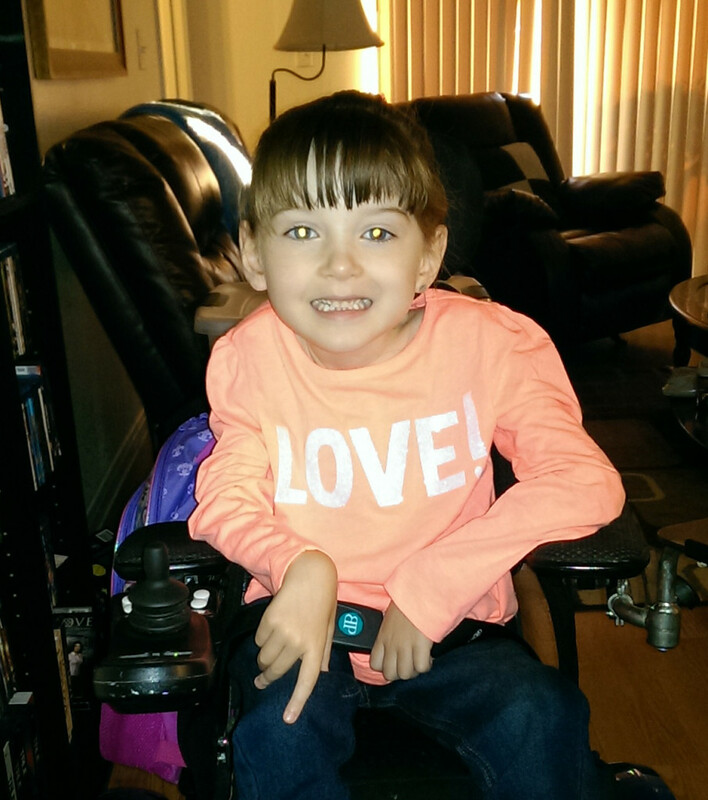 Hailey is a happy, independent girl who was born with Spinal Muscular Atrophy. Hailey has scoliosis that is being treated by bracing her back and sides in her wheelchair, which will allow her to grow some more before surgery. Between the bracing and the scoliosis her arm mobility is extremely limited. “Having a JACO will allow me to be more independent,” said Hailey. “I’ll be able to do things like turn on the lights when I go in a room, pick up crayons or toys when I drop them, reach my food and drinks better, and do lots more things as I learn how to use JACO. Having a JACO of her own will have an immediate and lasting impact on Hailey’s life, and will help her be more independent at home and in school.